In the Fall of 2009, Brian Cone’s decision to form the 67th chapter of the BMW Car Club of America, the Oregon Chapter, began to take shape. His vision was to have a professionally run chapter that was open and accountable to it’s members, one that offered events and services to all BMW owners in Oregon and SW Washington. This chapter would have financial disclosure to it’s members, board meetings open to all members, and operated with a business-like professionalism. This was a huge risk to take, as an established BMW group had opposed setting up a chapter in Oregon. If this initiative failed, then Brian would be shunned by local enthusiasts. But it was a risk worth taking. A meeting was set up in October, 2009 to discuss the idea of forming an Oregon Chapter at a pizza restaurant on Barbur Blvd. Would anyone attend? When the meeting started, over 60 people attended, standing room only! 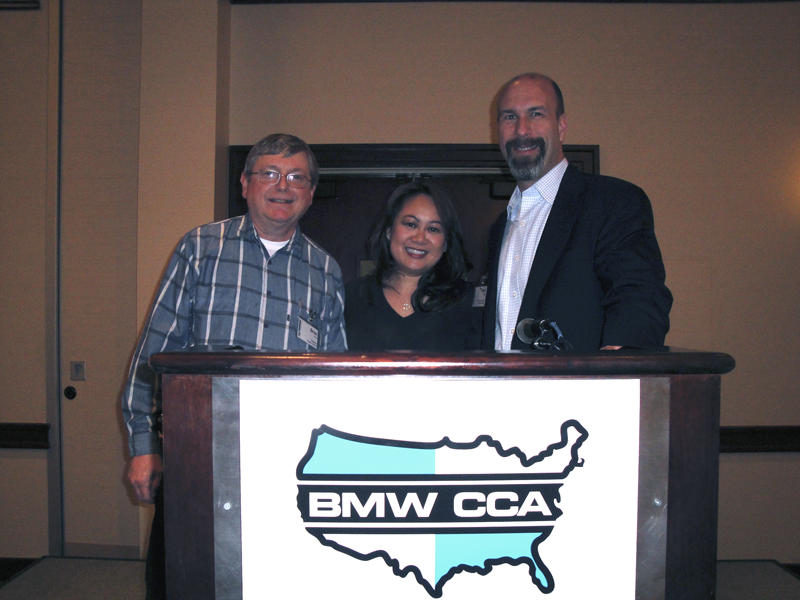 Steve Johnson, BMW CCA West Coast Regional VP, and Lance Richert, first President of the Puget Sound CCA Chapter, gave information to the attendees about the CCA. A vigorous and sometimes heated discussion ensued for about 3 hours. Should a CCA chapter be formed in Oregon? Why not just join the local Portland group? By the end of the meeting, it was clear to everyone: the CCA Oregon Chapter formation was imminent. Our next meeting in November, 2009, had a goal of setting up the basics for a new chapter: enlisting volunteers and officers, establishing a logo and by-line, determining how to enlist enough petition signatures to allow a new chapter in the CCA, and setting up plans to establish a website, and non-profit business registration with the state. Response was tremendously enthusiastic! Over 30 people attended and they couldn’t wait to sign up as volunteers and officers. Soon Ron Woodruff had designed a logo on a napkin showing a road winding up to Mt Hood, and a by-line: Under the Hood. Perfect! We were on our way. 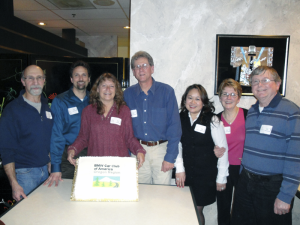 By January, 2010, we were working on the basics of setting up the chapter when word came from CCA National: we had to complete our work and send a petition in by the end of January! National wanted to approve our chapter and introduce us at the next national congress in March. A hectic 3 weeks it was, but two days before the deadline, we submitted our signed petitions, sent in all of the financial requirements, showed our state business registration, website name, and list of officers. At the national congress in Dallas, TX, the new Oregon Chapter representatives, including Brian Cone (president), Anh Le (secretary), and Eric Wishan (treasurer) arrived and were warmly greeted by members of the other 66 chapters. During the Saturday night banquet, Frank Patek, Executive Director, introduced us as the 67th and newest chapter of the BMW Car Club of America. Everyone cheered! We were on our way, making connections and plans that would benefit all of our members in Oregon and SW Washington. Our chapter was officially in place. Our first event was a social dinner at the Hunan Pearl Restaurant in Lake Oswego. We packed the room with enthusiastic new chapter members. Anh Santayana brought a customized cake with our new chapter logo on top. A historic moment in the history of our chapter! A bright future was ahead and we were ready for the adventure. Thanks to our founding volunteers and officers, BMW enthusiasts will enjoy making friends and having memorable experiences for generations to come.